Since Aristotle was the first person we know of that gave serious, objective thought to the rainbow and rainbow color theory, it behooves us as artists to contemplate it as well. This instruction is written as though the artist is new to the concepts of painting in spectrum white color, and approaching the process for the first time. Thus, I apologize in advance if what follows seems overly simplistic, but these details may prove helpful to some. 1) When mixing the greyscale, this is how to get a true, neutral set of greys; otherwise, they will tend toward blue: adding just the barest touch of raw umber to the black pile of paint on your palette is important. Preferably use mars black, as it is generally less blue than ivory black. Then lighten a small bit of it to check that you have not added too much umber—this will make it look dirty if you have, and you do not want the whole pile polluted. 2) Although the tube colors for white spectrum are customary for the purposes of demonstration, they are still somewhat flexible. For example, you may find that you have manganese violet in your paint box but not cobalt violet; or you may find that your garment is in a warmer light setting and you would prefer using a violet commensurate with that. It is okay. However, despite guides and formulae, you must still understand why you are choosing to paint with spectrum white, and be able to determine your darkest and lightest values in the three situations/conditions outlined below: *Light, Shadow, and Sunset. After determining the situation, you look at the garment and think like this: “My darkest dark is a value 3 so, since purple is first on the rainbow spectrum (following their order) and comes out of the tube at value 1, I will lighten my purple with white until it is a value 3. Then, I can tint some grey with it, which should result in a purple-ish white value 3. The next color in the spectrum is ultramarine, so I will lighten that color to a value 4, and then mix it with a value 4 grey,” and so on, up the spectrum. (*9) Yellow —Cadmium Yellow Lt.
(*4 1/2) Red —Napthol Red Lt.
A note here—Sometimes you will need half-steps in your values, so keep in mind that just because you have only 4 colors to use for shadows (for example), does not mean you necessarily have only 4 values to address in your white shadows. You may have 5 or more values in your shadows, so you simply spread these four colors to a broader value range, commensurate with the needs of your painting. The same holds true for the other two situations outlined above. We must also keep in mind the concept of “reflected light” as it relates to white objects and how they will be affected. Everything that is near your white object or garment, whether it is an apple or a curtain, will be reflected somewhere in that white object or garment, so a way to handle those reflected lights might be to gently glaze the reflected light color on top of the painted spectrum white object after it dries. Of course, the handling of this will be very painting-specific, and the way you accomplish it for one painting, might not be the same for the next, but it is something to keep in mind. Now What? Analyze which situation applies to your painting, then paint it from dark to light using these instructions. In a previous post, I have painted a quick example on the use of spectrum white that might be a useful reference. *A big “thank you” goes to Charlene Higley for differentiating and fine-tuning these three conditions. It is with ineffable sadness in our hearts, that I must report this news. Our friend and long-time art teacher and mentor, Maestro Frank Covino, passed away suddenly on Tuesday, February 16, 2016, after being pronounced “cleared of cancer” just last week. If I may use a bold simile, his loss feels like looking up at the mountains in Sugarbush, where Frank worked hard to build the home he loved, and seeing that the grandest of summits has disappeared from our sight. After two days of profoundest shock, and countless tears I realize I must write you. It is with a heavy, heavy heart that i must inform you that dear Frank has passed away unexpectedly on Tuesday night, February 16th. It was quick and he did not suffer–a death we would all prefer–but he had been progressing so well, it was a gut-wrenching shock that still is unbelievable. I truly cannot imagine a world, or a life without him…32 years of happiness and adventure. Life was never boring with him!!! What an amazing talent, a brilliant man with a wealth of knowledge, a gentle and sensitive man who had to excel in everything he did, and was thus an inspiration to all who knew him. He encouraged others to strive for excellence and to believe in themselves, giving them the tools to create a positive reality in their lives, whether it be art or health. We all can repeat that golden maxim: IT’S NEVER TOO LATE TO AMELIORATE! Wise encouraging words, those. But he was more than the sum of his parts; he was a genuine force of nature, a real Renaissance man, but above all else, he had a kind heart and a very great soul. We all loved him so; there will never be another Frank. But I know it is now time for each and every one of us who was touched by his life, to take that spark and pass it on. He gave us wings and it is time for us to fly…Make him proud!!! I am too choked up to continue writing. God Bless each and every one of you who had a place in his heart…family, friends, students….He loved you all sincerely and without guile…. We are in the process of collaborating with the family and planning both a smaller family funeral as well as a larger set of celebrations of his life and legacy open to all who loved him–one in Vermont and one on Long island. As soon as the Covino south clan and Mark and Jennifer and I hammer out the details, I will email you all, soon as can be done. We are going to give that wonderful man a send off he won’t soon forget!!! PS: PLEASE FORWARD THIS to everyone you can think of. It has grown into a cast of hundreds, and forgive the delay but it has taken time to believe this is true. Hue–the name of a specific color as it appears in the color spectrum. Value–the specific darkness or lightness of a color. Chroma–the specific intensity (brightness or dullness) of a color. 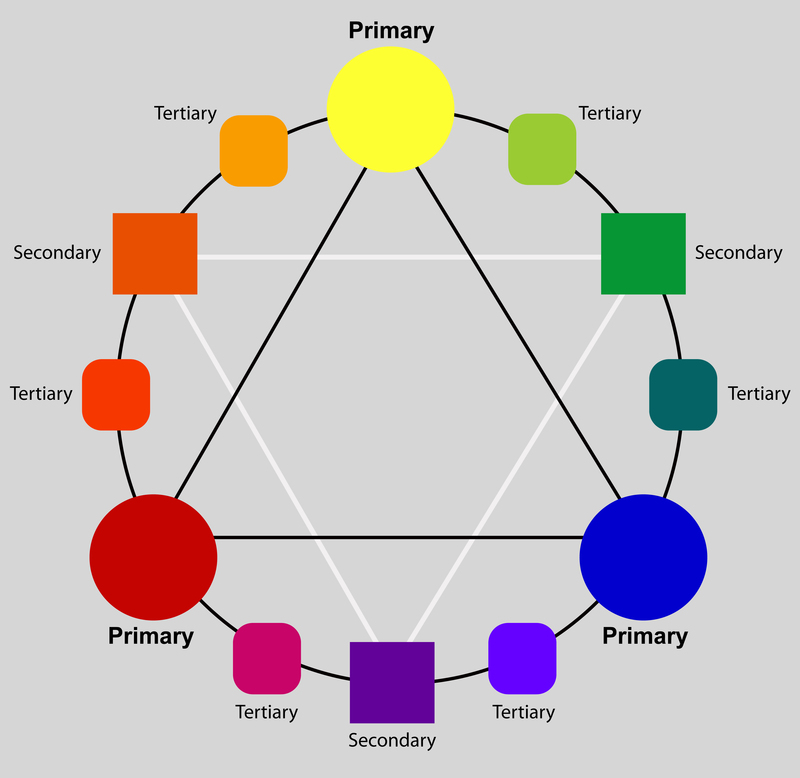 Every color falls into one of these ten basic HUE categories, or possibly between two of them, where reside the interhues. Most artists have had at least one important teacher. Mine was/is Frank Covino. He designated tube names and value numbers for Munsell’s ten hues. Red-purple is Alizarin Crimson, which is a value 1 tube color. Red is Cadmium Red Light, which is a value 5 tube color. Yellow-red is Cadmium Orange, a value 7. Yellow is Cadmium Yellow Light, a value 9. Yellow-green is Pthalo Yellow Green, value 8. Green is Cadmium Green, value 1. Blue-green is Viridian Green, value 1. Blue is Cerulean Blue, value 3 or 4 (depending on the brand). Purple-blue is Ultramarine Blue, value 1. Purple is Cobalt Violet, value 1. These tube colors should visually disappear when placed on corresponding value numbers in the value chart (Don’t forget to squint, as discussed in the last post.). If they look like freckles instead of disappearing, you know you either have them in the wrong place, or your value chart is not correct. That’s why we use the Covino Palette–those values are already prepared for you to start using at once, without a lot of fumbling about. Follow my blog to get the latest post sent to you.